Hluhluwe is the northern section of the 96,000-hectare Hluhluwe-iMfolozi Park, about 280km north of Durban. Its centrepiece is Hilltop resort, perched on a forested koppie with dramatic views of the surrounding countryside. 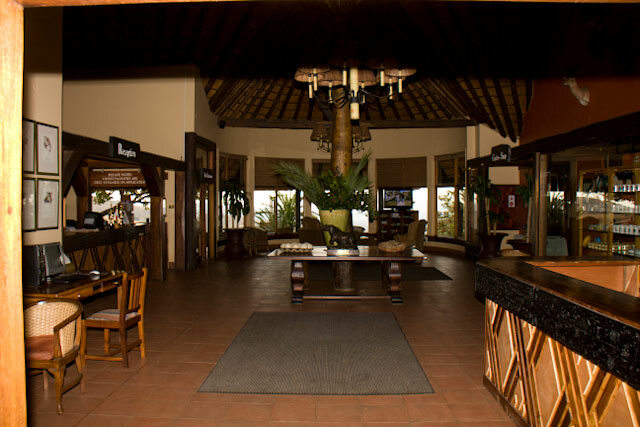 The oldest tourist resort in KZN, it’s been superbly updated to offer attractive chalets, a restaurant and bar – everything the sophisticated traveler could want – while still retaining the laid-back feel we diehards expect of a game reserve. If you’re tired of driving around the park, have tea on the deck outside the restaurant and you might see two elephant bulls who are regulars in the area. From your high vantage point, you may even see raptors flying below you. Alternatively, you could walk Hilltop’s short Umbombhe forest trail, take a dip in the swimming pool, or wander around reading the information displays planted here and there to teach you about spitting bugs, dinosaur cycads, bats, the fact that a fig is not a fruit, and so forth. Hilltop offers the usual variety of guided game drives and bush walks. All these activities are an opportunity to learn from the park’s plugged-in field guides. My favourite drive from Hilltop is to head south to the Siwasamikhosikazi picnic site and then onto the gravel loop that goes to the Thiyeni hide where there’s a mud wallow. Unfortunately it’s dry in winter but a scratching post polished to a smooth finish is proof that it’s certainly popular with rhino in summer. From here you can continue south and cross under the R618 into iMfolozi Game Reserve and a different world. Gone is the thick bush of Hluhluwe and game becomes easier to spot in the more open bushveld – the odd cheetah, leopard or lion, and a feast of giraffe, buffalo, warthog, impala and rhino. In fact, by the time you leave Hluhluwe-iMfolozi you’ll probably be bored with white rhinos! 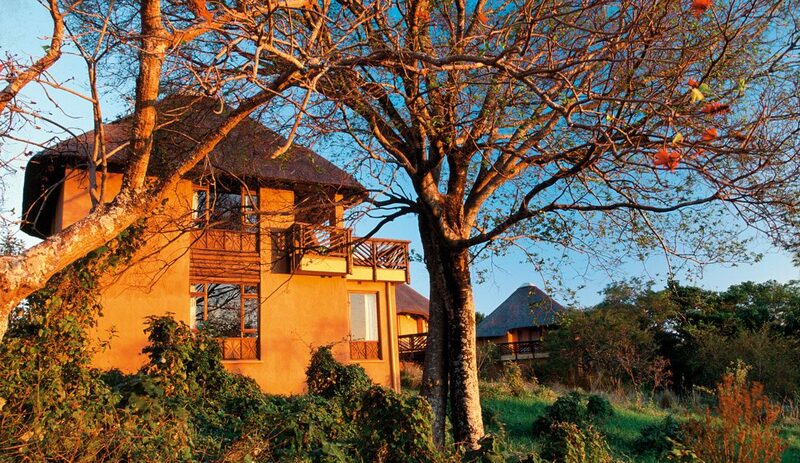 The main resort at Mpila has no electricity so there’s a rustic, laid-back feel, especially since all chalets have a view out over the surrounding hills and bush. There’s also a picnic site that makes a shady place for day visitors to outspan. Much of the tar road at iMfolozi is perforated with potholes so it’s a pleasure to get onto the gravel loops to the north and west of Mpila. 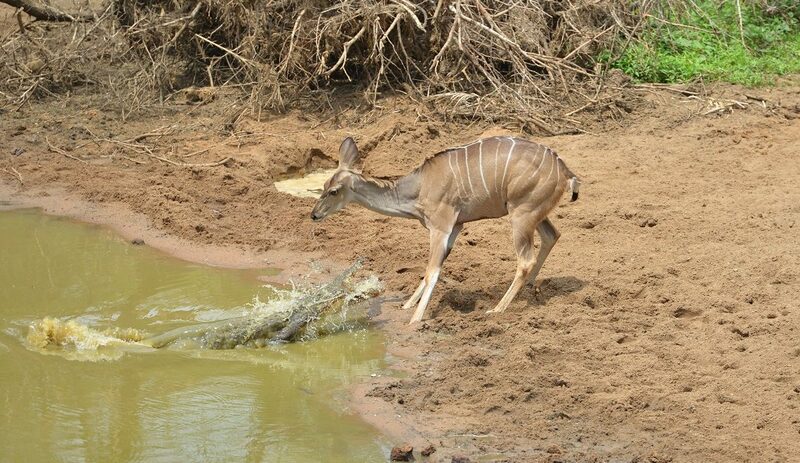 Bhejane hide in the northwest is a fabulous place to stretch your legs and watch warthogs, nyala, zebra and other animals come to drink. Mpapha hide gives you an elevated view of another waterhole below a rocky outcrop. Don’t miss the chance to visit the Centenary Centre south of Nyalazi gate. Yes, there’s a craft market with a wide range of well-made goods, and you can buy light snacks from the takeaway restaurant. But most fascinating is the exhibition hall with its informative photos and models showing how game capture techniques have changed over the years, and how drugs have advanced to minimise losses. Guided game drives or walks and two- to four-night wilderness trails are other activities you might want to try at iMfolozi. Wilderness trails offer an unforgettable bush experience under the guidance and protection of an experienced field ranger. For more about parks and nature, see Roxanne’s regular blog.